Do you still like the old Unity desktop? No problem, we can easily install Unity on Ubuntu 18.04. 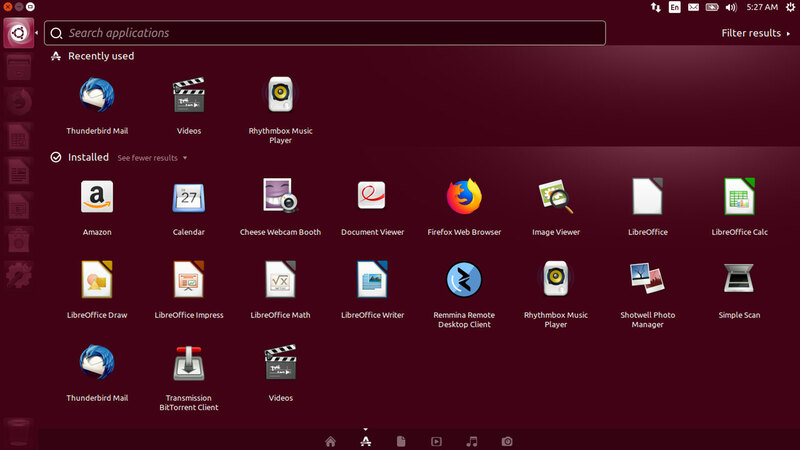 Ubuntu introduced their own desktop environment called unity in 2010 starting with Ubuntu 10.10. 10 years later they have abandoned the Unity desktop and switched back to the GNOME desktop. But Unity desktop is available to install from the Ubuntu software repository. To install Unity Desktop on Ubuntu 18.04 Bionic Beaver, open the terminal and install the ubuntu-unity-desktop package. When prompted to choose default display manager, select lightdm and continue the installation. After the process is complete, restart your Ubuntu 18.04 desktop and when you come back to login screen, click on the rounded icon next to the user name and select Unity (Default) from the list. Now, when you login, you will get the Unity Desktop and it will remain as the default desktop environment. If you don't want to use Unity desktop, Log Out and go back to login screen, then Select: "Ubuntu" from the desktop list.